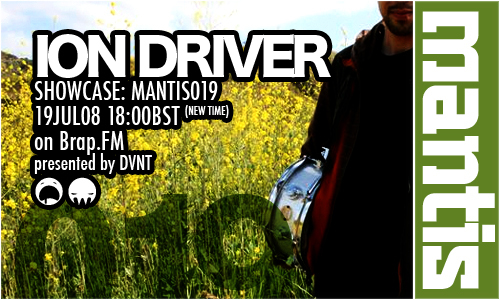 We track down California’s Ion Driver to provide this weeks Mantis Radio showcase. Deep broken vibes permeate from within. We track down Ion Driver for a belter of a showcase. 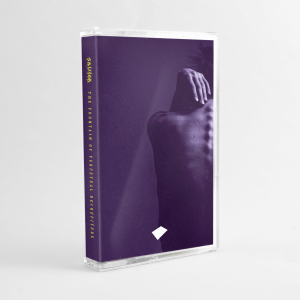 He provides an excellently programmed mix with shimmering, deep, electronica, electro, IDM and tech. With a pile of remixes that have recently hit all the usual places (including the excellent remix of Irronisch by Charlton out now on Digital Distortions) as well a 4 tracker EP and another soon to drop Ion Driver really should be taking up some of that record box of yours. In the first hour you had DVNT on the selections and we dished up a right package. Including the huge Phat RiderZ’s Heaven Massacre, new Odan, a new Eskmo remix, some rinsing techno, some deep tech house from the Selph and Wavestream, jacking ghettotech from DJ Slugo and Paul Blackford. You also heard a track from Dan F’s latest LP. Rendition and some AFX 190bpm glitchcore.